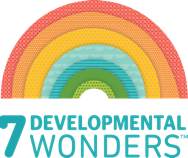 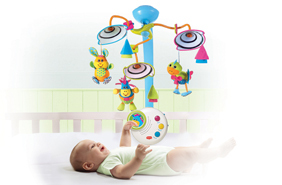 Baby looks up and is now able to follow the moving objects with her eyes, thereby developing sight and strengthening eye muscles. 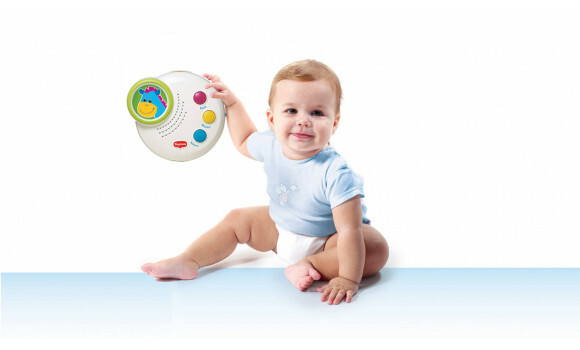 You can now remove the mobile's arm. 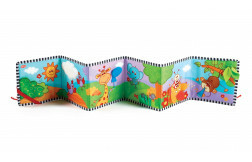 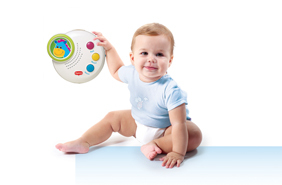 Leave the music box for baby to play with independently. 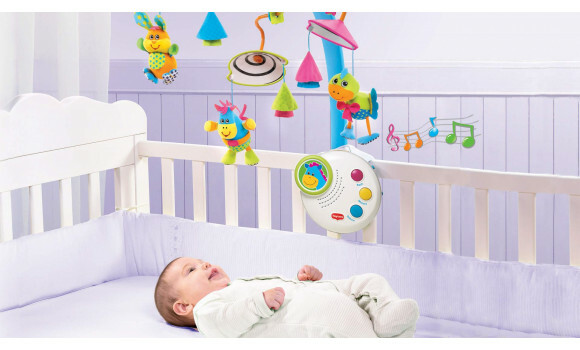 Converts to a crib-side music box and night-light. 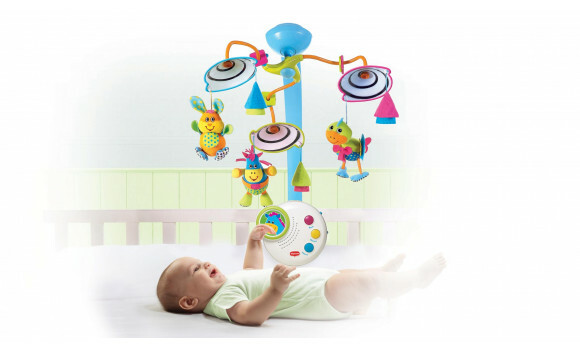 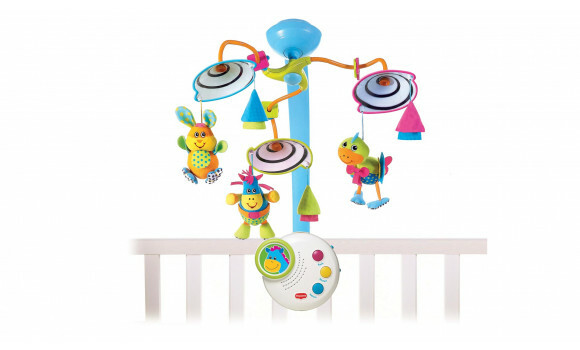 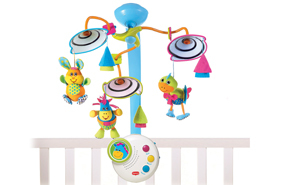 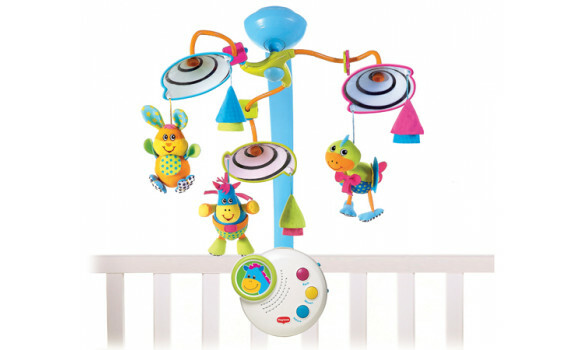 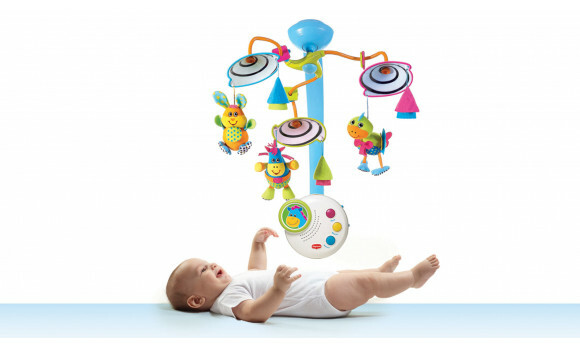 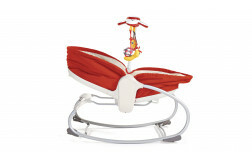 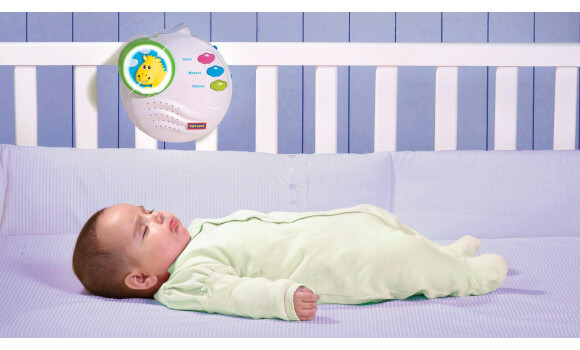 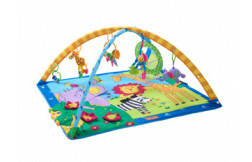 The soothing music and steady movement create an atmosphere that calms babies and helps them fall asleep.